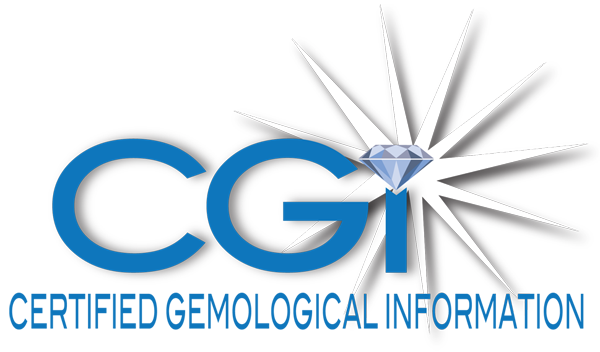 Most people have heard about the four C’s of diamonds through advertisements or direct contact with jewelry salespersons. However, while familiar with the concept, most individuals are a little sketchy on the facts when asked to explain. The four C’s, as promoted by the jewelry industry, include carat weight,clarity, color, and cut. The first aspect, carat weight, is pretty black and white. Diamonds are weighed in carats which are composed of 100 points. Basically, a half (1/2) carat stone is .50 carats or 50 points. Carat may be abbreviated as “ct.” Special diamond scales calibrated to a thousandth of a carat are generally used in the jewelry trade. Occasionally you may hear the term “four grainer” referring to a 1 carat stone. Each grain is equal to .25 ct or 25 points. If you think in terms of grams, 1 gram is equal to 5 carats. This metric equivalency provides a level of uniformity anywhere in the world. Due to the limited supply of larger diamonds, the value of the stone rises proportionally as the weight of the stone increases. For example, four .25 ct diamonds of the same quality will not equal the value of a single 1 ct stone of identical quality. The disparity becomes more noticeable as the size and quality of the diamond increases. Note that carat describes the actual weight of a stone—not the size. Due to the differences in density, some stones of the same size will weigh more than others. Therefore, two different stones may both be 1 carat but have different sizes. Grading is always performed with a 10 power (10x) loupe or microscope under proper lighting by a trained observer. Inclusions in stones graded I1, I2, and I3 can be seen by the unaided eye. In many cases the term “imperfect” will be substituted for “included” when describing VVS, VS, and SI stones. Generally, diamonds in the -I3 ranged are referred to as imperfect 1, 2, or 3. * The tint viewed may be yellowish, brownish, or even gray. When grading diamonds, a nonreflective white background is used. Graders have to be careful about surrounding environment. Clothing color, lighting, and color of the instruments used may affect the outcome. Certain diamonds are called fancies. These stones have intense natural colors that in some cases are very rare and command exceptional values. These stones are not color graded with the scale above. Brown and yellow diamonds are the most common members of the fancy group and have a distinct beauty of their own. Reds, blues, and greens are extremely rare and highly sought after by designers and collectors. Color is one of the most noticeable characteristics of a diamond. Most people notice if a diamond is colorless (the most desired). The setting of the diamond can affect the appearance of color. If the stone is colorless, a white gold or platinum setting will enhance the whiteness of the stone. But if the stone has a yellowish tint, a yellow gold setting may help mask the yellow tint, making the stone appear whiter. The breathtaking beauty of a diamond comes from a combination of fire (flash of rainbow colors from within) and brilliance (the burst of sparkling light). This dazzling beauty is a direct result of the cut. The last of the four C’s, cut, is a little more complicated than just the shape or visible form of the diamond. Cut also refers to the style of faceting as well as the symmetry, proportion, and finish (known in the trade as the “make”). There are three basic styles of faceting: brilliant cut, step cut and mixed cut. Designed for maximum sparkle, the brilliant cut uses many triangular and kite-shaped facets. Instead of sparkle, a step cut focuses on elegance by using fewer facets and more trapezoids and rectangles. A mixed cut combines the step and brilliant cut styles for a unique beauty. All diamonds are cut to certain tolerances designed to maximize the play of light within the stone. If the stone varies too greatly from the accepted standards, light is lost through bottom or sides, reducing the liveliness and overall beauty of the stone. As a general note, most full cut round brilliants have either 57 or 58 facets, depending on the absence or presence of a culet (the bottom-most facet on a stone). The first point to remember when shopping for diamonds is choosing a stone that looks beautiful to you. Different people have different preferences for styles, shapes, colors, and weights.